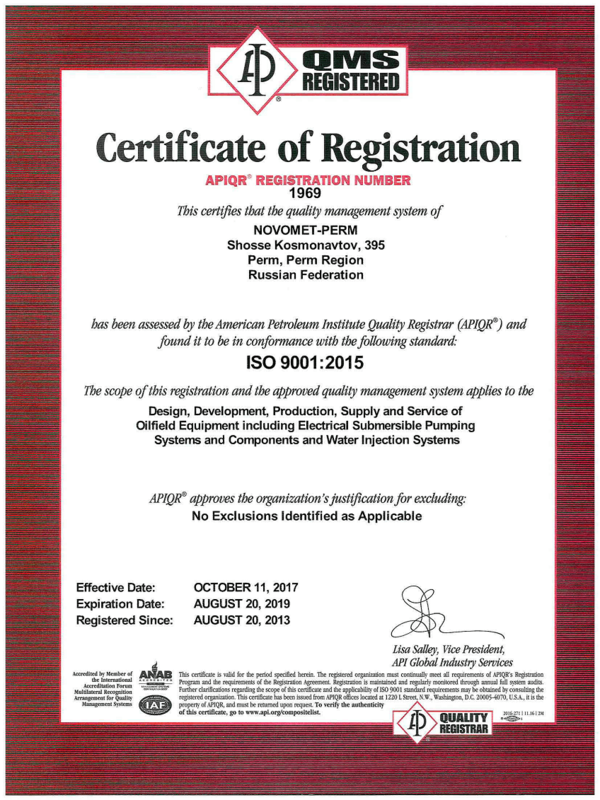 Novomet is a highly developed company with a certified quality management system, in compliance with International Standard 9001:2008. International Standard 14001:2004 specifies requirements to reduce negative impacts on the environment. Our Certificate of Compliance proves we are in accordance to the requirements of Occupational Health and Safety 18001:2007. This is a testament to the responsible management of the company and to our commitment to the preservation of life and health of our employees.